What the HECK is Homura? 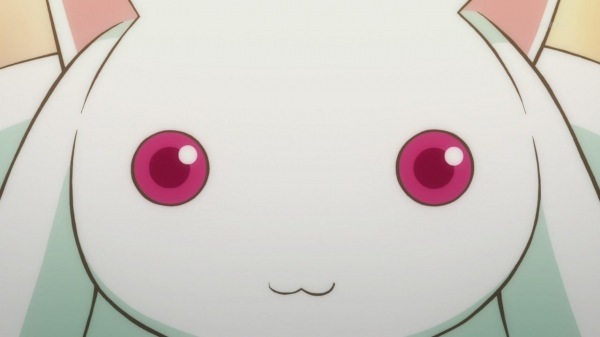 Homuru has always been and still is a mysterious character in Mahou Shoujo Madoka Magica, but episode 5 managed to makes things about her seem even more confusing, not less. First off, Kyubei is extremely, yes he’s creepy too, but what I want to say here is unhelpful. 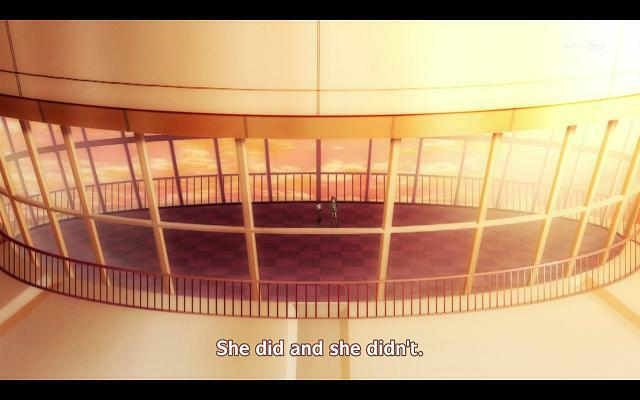 She did and she didn’t? Actually, we know for a fact from the snippets of dialogue with Madoka that Homura DID make a contract to become a Mahou Shoujo. She regrets it immensely. So yes, (at least I believed) she has made a contract. There is a way that Kyubei’s statement is true. This actually might give more support to a theory I had already developed when I wondered how the heck do all these Mahou Shoujos exists yet Kyubei has the time to chill with Sayaka. I think Kyubei actually comes from a higher being that breaks off pieces of itself to create multiple organisms, all of the exact same hive mind to go out and form contracts and create Mahou Shoujos. Thus, there are multiple Kyubeis. 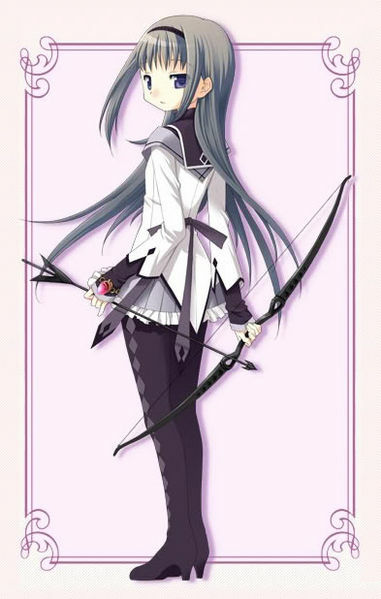 Thus Homura would have made a contract with Kyubei. Just not that Kyubei. I know the popular theory is Homura is Madoka from the future, which would also fullfill Kyubei’s statement, because she did make a contract with him, but not with him, but him of the future. Then the question would be, “How does he know?” Then again, Kyubei is a freak of nature. I don’t buy in Homura being a future Madoka. For me, I’ll believe it when I see it. 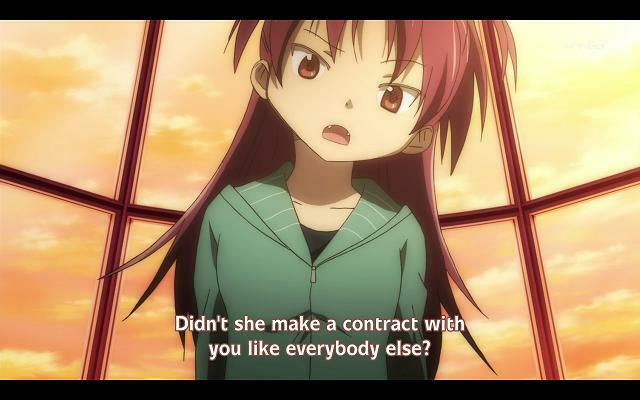 Otherwise, I think she would have been able to stop Sayaka from making the contract because she knew Sayaka would make the contract. Homura in episode 5 was shown to be surprised by the contract being formed. She appears whenever Madoka would be pressured into making a contract, but I think Homura would behave differently if she already knew what would happen. Personally, I think Homura is merely a rouge Mahou Shoujo trying to prevent other Mahou Shoujos from existing. She may have simply recognized that Madoka had a lot of potential and would be targeted by (a) Kyubei from episode 1 as soon as she met her. That doesn’t mean that Homura’s relocation was just to find Madoka. I think Homura relocated to escape a tragedy, and intended to look for girls to save in her new area. Anyway, that’s my current speculation of this episode. The time-traveler theory is actually a pretty interesting one. I could see it happening if Homura has glimpsed the future and is seeking to mend the mistakes of the past. My theory though is that Homura is plain-old Batman. If Batman were a magical girl…. Don’t trust the kyubei. That’s all I could get from this conversation. That’s usually the best idea. But then I’d have nothing to write about! She just had seen madoka in her dreams… just like sayaka. I agree with zzero. I hadn’t thought of it before, but it is entirely possible that Homura is Batman. 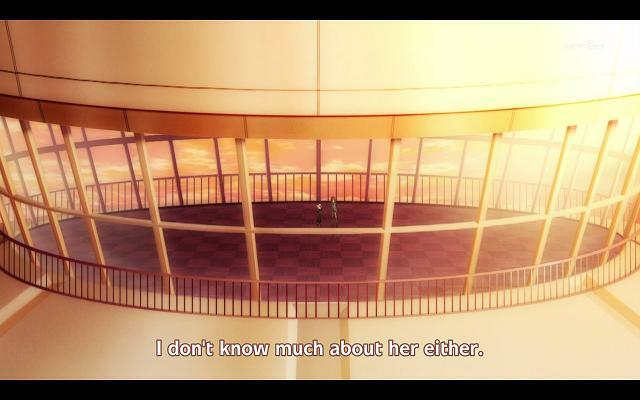 Or his epic female mahou shoujo equivalent, anyway. Actually, I think Madoka is the rouge magical girl. Homura is more black. Sorry; couldn’t resist. You know though, now that I think about it, black is a bit unusual for a magical girl color.